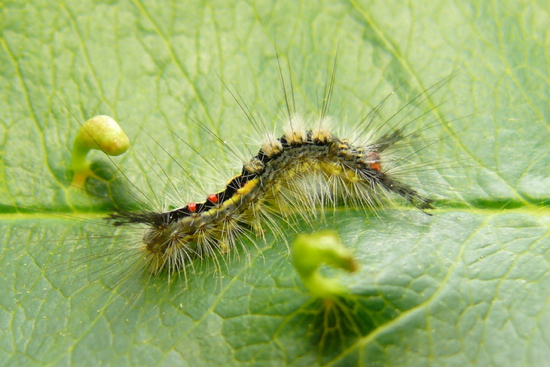 I found this caterpillar on June 15, 2009, eating Wild Black Cherry leaves (Prunus serotina). On July 1st, it pupated. 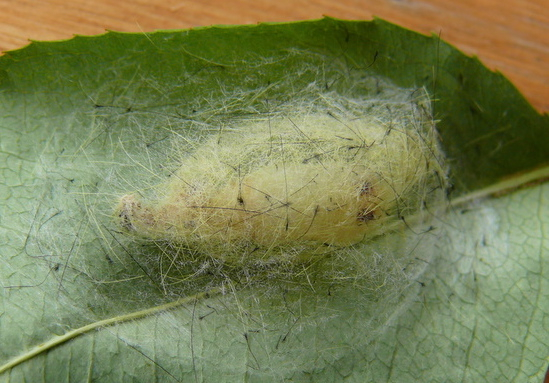 It covered the pupa with a layer of silk, and mixed some black hairs in with the white silk. 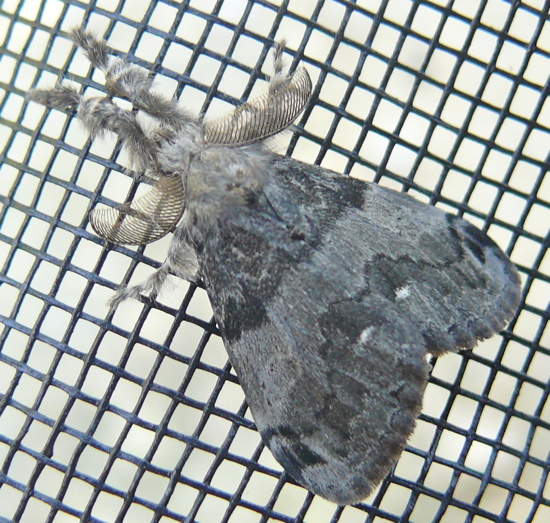 On July 7th an adult male moth emerged. 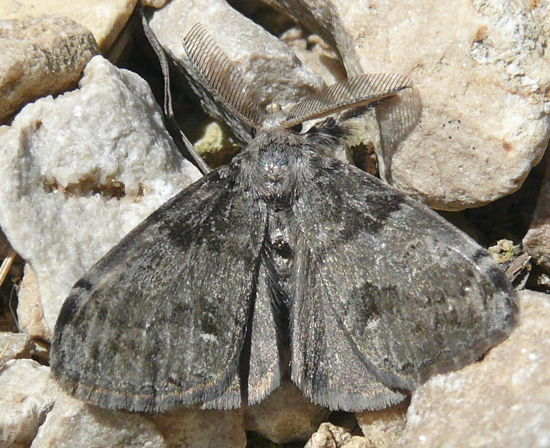 When I released it, it flew around just above the stones of the driveway, beating its wings frantically. I finally got one photo when it stopped for just a moment. According to BugGuide, females of this species have no wings, and lay their eggs in a frothy mass on top of their own cocoons. 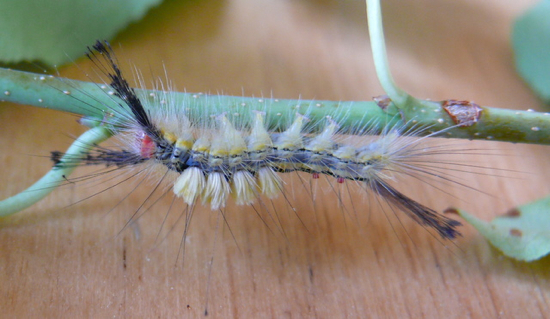 I hope the next caterpillar I raise will turn out to be a female! This entry was posted on Tuesday, July 28th, 2009 at 12:29 pm	and is filed under Uncategorized. You can follow any responses to this entry through the RSS 2.0 feed. Both comments and pings are currently closed.